Don’t panic—it’s pretty much only the extra-tiny ones that take flight, which is a behavior called ballooning. 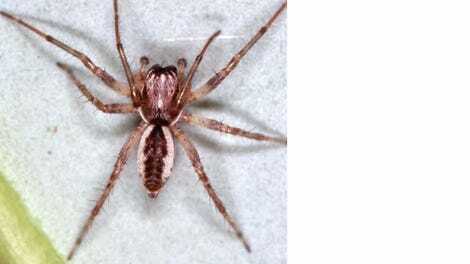 By releasing a bouquet of streamer-like silks, baby spiders ascend into the air to find new homes after hatching, and adult spiders do so to get around more easily and find mates and new food sources. Some have even crossed entire oceans using these silk parachutes to stay aloft on wind currents. And though the behavior is widespread, scientists haven’t nailed down exactly how spiders are able to take to the skies. 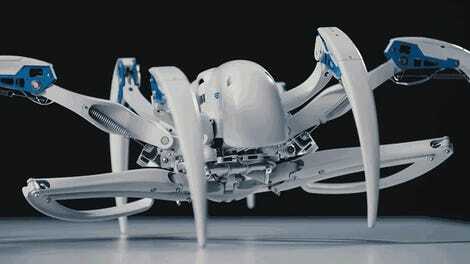 Moonsung Cho, an aerodynamics engineer at the Technical University of Berlin, wanted to find out, so he studied crab spiders to see when they decide to take off and how they do it. Crab spiders are decently large for spiders that fly—though still only 5 millimeters long—so Cho thought they’d be excellent test subjects, because he wouldn’t need a heavy-duty zoom to record their behavior. 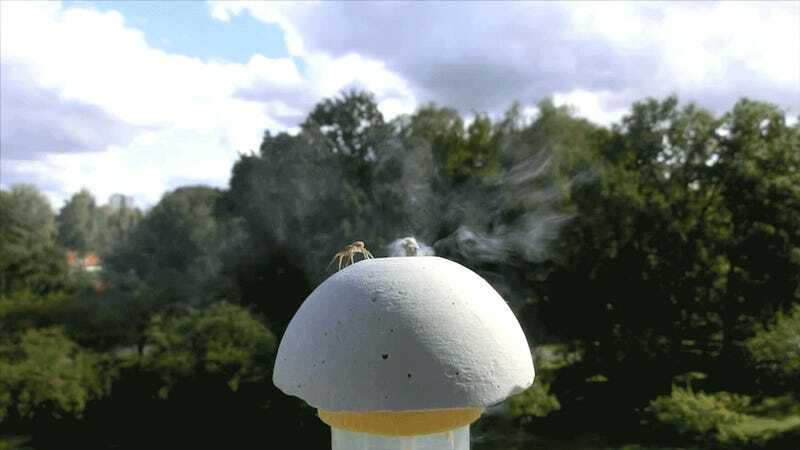 If the wind conditions were just right—which, for these crab spiders, meant less than 7.3 miles per hour (3.3 meters per second) with a nice upward draft—they stood up very straight, stuck their butts in the air, and produced 50 to 60 nanoscale silks that lifted them into the skies. On average, those silks were nearly 10 feet long. Once they let go of their anchor strands, they were gone. Crab spiders like this one reach out with a limb to assess the wind before deciding to fly. 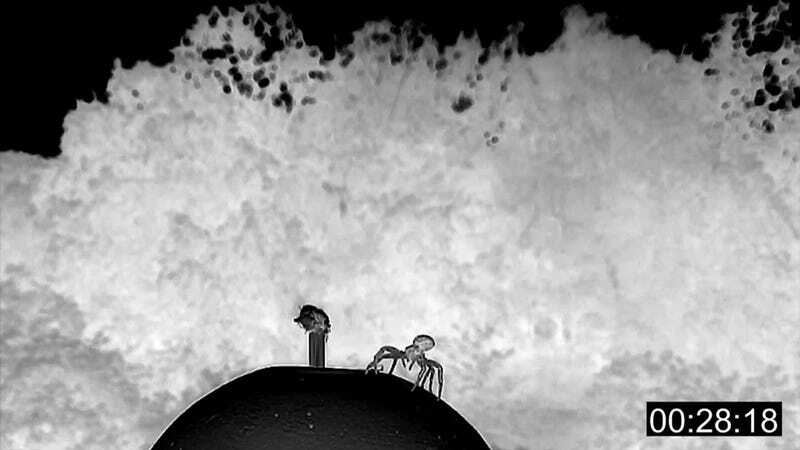 From the physics perspective, this flight method works for spiders thanks to the air’s viscosity compared to the extreme thinness of their silks. By looking at the silk lines under a scanning electron microscope, Cho found that many were thinner than the wavelength of visible light, which ranges from 400 to 700 nanometers.